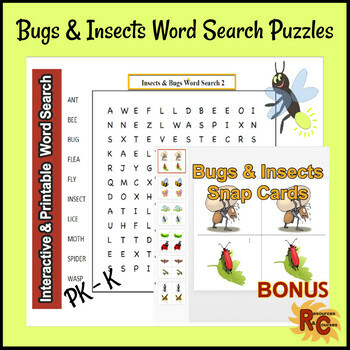 Great starter activity to learn words associated with Bugs & Insects. 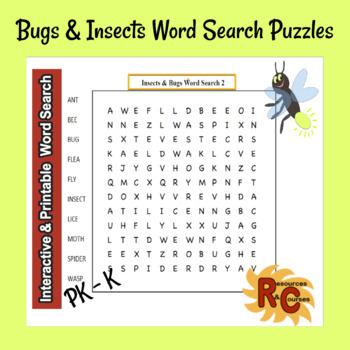 These interactive and printable Word search puzzles enhance fine motor skills and help with spellings. Same set of words - 2 different puzzles in lowercase letters & uppercase letters. Please leave constructive feedback once you have used with your learners; you will earn credits toward future purchases, many thanks.